This week a friend encouraged me that in a time of prayer for our family she felt like God gave her the word “digital journaling”. She believed God wanted to encourage us to be willing to be raw and open about what He is doing in and through us. I received that word and am here to say that God is working, helping me to identify areas that need to be more closely focused on His face and asking me to set aside some good things for His best things. Conceptually it sounds amazing and holy and pure and right. In reality, it’s not so easy. Recently our family attended The Send in Orlando, Florida. 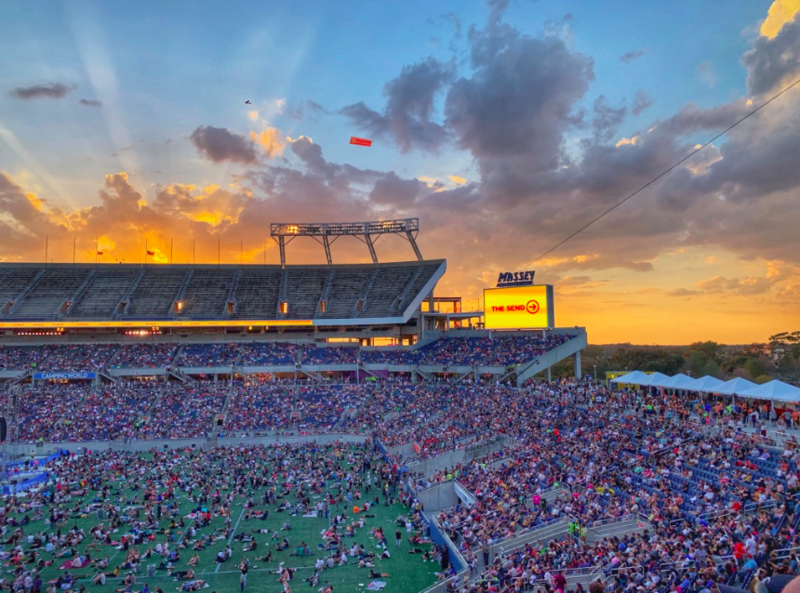 Perhaps I will write in more detail about the event itself in the future, but for the purpose of today’s topic, I’ll hone in on a specific aspect that was encouraged by one of the speakers—an invitation to enter into a 40 day fast. As I prayerfully reflected on what might be the best thing for me to fast from, the answer that rose up in my heart was a little unexpected: fast from social media and step back from building my health coaching business. Immediately, I recognized the time that this could free up for focused prayer and study in God’s word as well as pouring more into those closest to me. However, the subsequent wave of thoughts has required more soul searching. -I’ll lose traction and my consistent investment of time will crumble. -The women I work with may feel abandoned. -What will be left when I return? 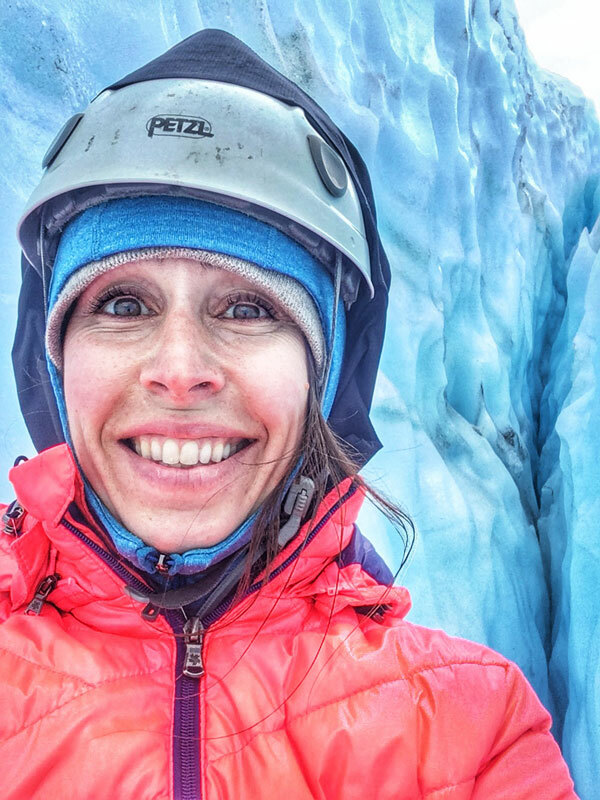 Continue reading “self-sufficiency < deeper dependence"
I never envisioned that one day I would wake up and say, “Today I am going to go ice climb into a glacier crevasse.” Yet, here I was gathering my winter hat, gloves, jacket and rain pants for an afternoon of ice climbing Exit Glacier. 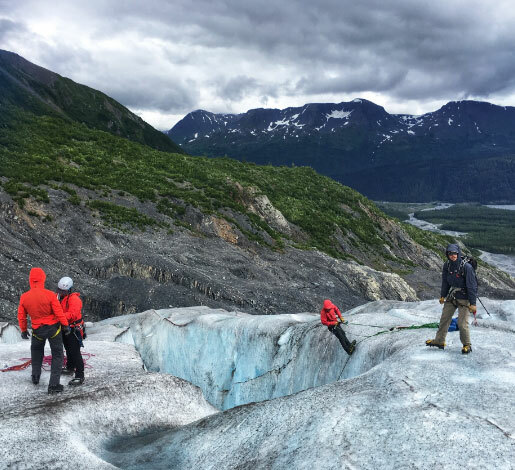 ICE CLIMBING EXIT GLACIER? Yes, PLEASE! 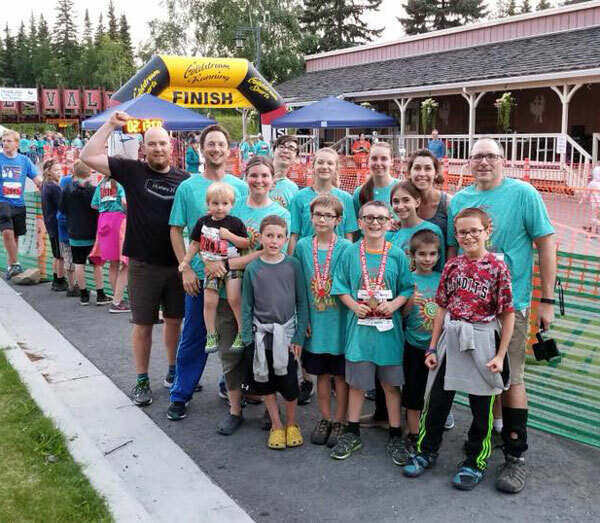 Our summer in Alaska has been a special series of unique events. 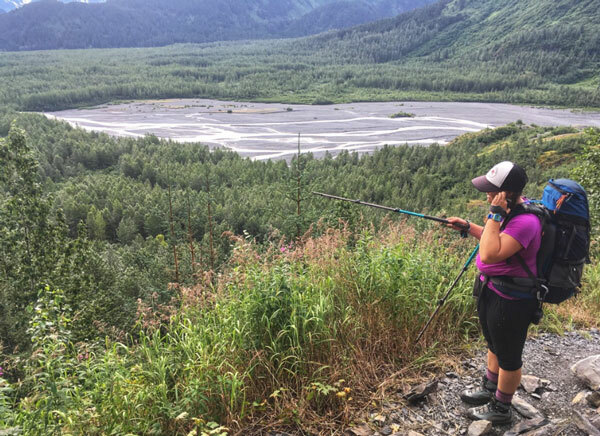 We’ve experienced frequent wildlife sightings, the Summer Solstice Midnight Sun Run (click here to see a short TV interview that we were featured in for the run), time in Denali National Park, and bountiful salmon fishing. 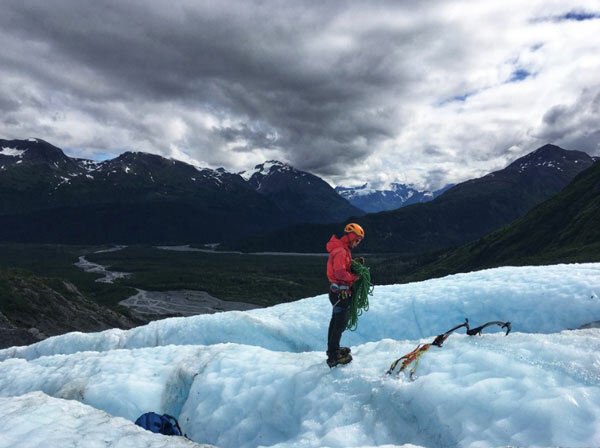 The idea of ice climbing on Exit Glacier is not something I even consider as an option until a friend mentions it. 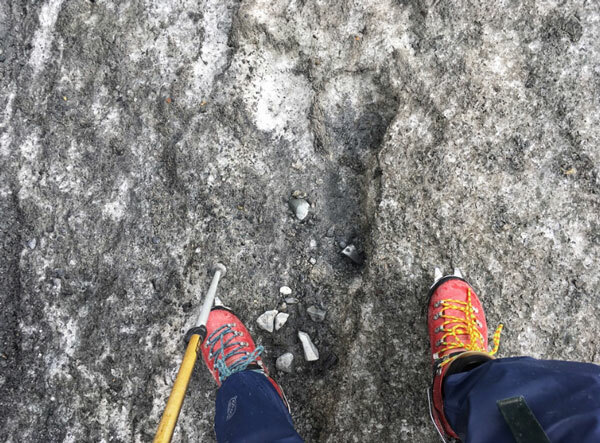 As I search online for Exit Glacier Guides and watch “ice climbing on Exit Glacier” YouTube videos displaying the deep cobalt crevasses, my interest quickly grows from mild interest to strong desire. Trent turns out to be an easy sell and soon we are counting down the days until our ice climbing adventure begins. 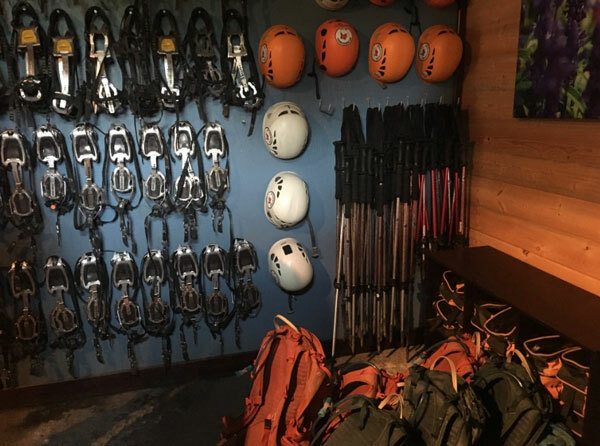 The morning of our ice climb begins with a fitting of gear—helmets, boots, crampons and a backpack. I quickly realize that when I’d assessed the 4.5-mile strenuous hike as doable, I’d failed to factor in a backpack filled with water, boots, winter clothing and my lunch. I give myself the first of several, “I can do this” pep talks that day. We head out to the van and take our places like excited school children on the first day of school. After stopping to admire a moose on the side of the road, our afternoon playground comes into view in the distance. 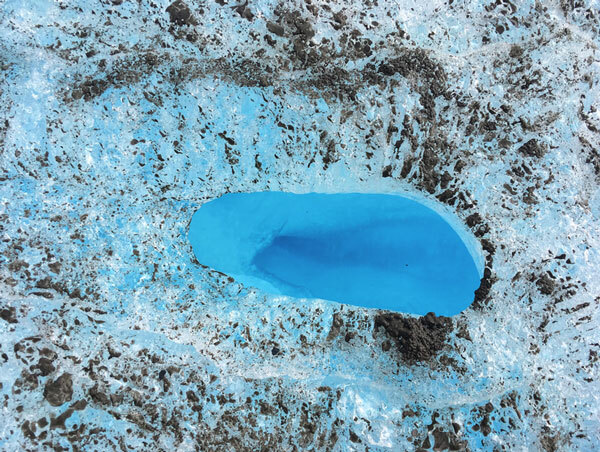 Exit Glacier stands, silently entreating us to enter her chambers. We pass signposts along the roadside indicating where she once stood in years past. Like a strange reverse timeline, moraines* mark her history as she slowly fades from the foreground. Pouring out from her depths, a braided river weaves its way through the glacial valley floor. I learn that these unique rivers build up rather than erode the land, because of the large amount of glacial sediment that they carry. Stopping at the Kenai Fjords National Park Visitor Center, we set out on foot. For two hours we hike through forest and bush. Our guides teach us about the local landscape, pointing out edible salmon and watermelon berries as well as poisonous monkshood flowers. For the first time in over a month, I’m sweaty on this balmy 66 degree day which has revealed a rare view of a blue sky. 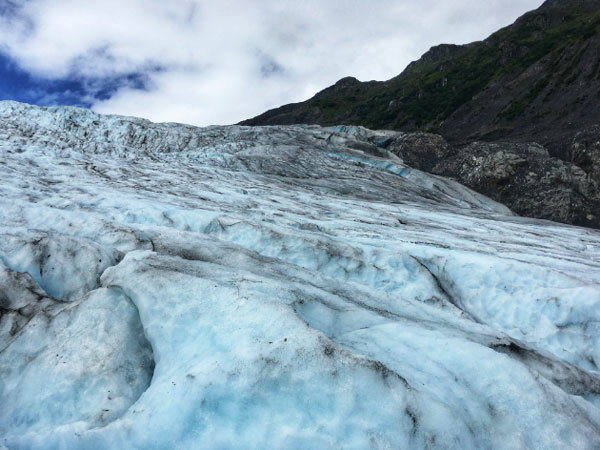 As we close in on Exit Glacier, the temperature shifts drastically downward. Wind is cascading down the glacier’s face bringing with it a winter weather front. My first step off the solid ground and onto the glacier is thrilling. I’m making my own “moon landing” moment. My feet traverse a landscape unlike anything I’ve experienced before. Something like crushed diamonds sparkle in the sunlight beneath my boots. Bits of gravel debris pepper the surface, proof that this mountain of ice is not stationary but maintaining an unrelenting path of forward motion. We step through shallow rivers and over pools of placid blue water. From this vantage point, the glacier is a fluid force of beauty. As our guides begin the process of anchoring the climbing ropes, we enjoy our lunch. The view around me creates a scene unparallel to any previous picnic. 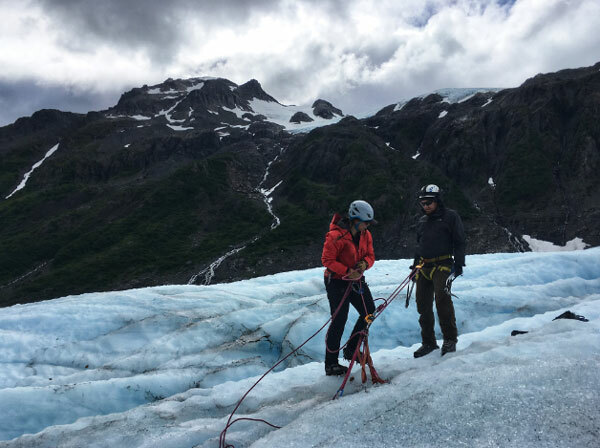 Ropes securely in place, our guides proceed to instruct us on how to properly descend into the crevasse—backward, one step at a time, leaning fully into our harness, trusting the ropes, trusting them. Emphasis is placed on those last three points and I begin to focus all my attention on that singular aim—lean in, trust fully. Once my harness is clipped into the rope, my moment of truth arrives. I’ve never done this before. I have nothing to offer except my obedient, yielded trust. I step back to the edge of the precipice and lean into my harness. This action goes against every ounce of my self-preserving logic but instinctively I know it’s best. My guide begins her careful coaching, offering short, understandable tips seasoned with solid encouragement. My descent into the crevasse is slow and deliberate. As I pause in the depths of her icy blue chambers, I marvel. What I could not have done on my own has just unfolded before my eyes. Waterfalls from melting ice surround me. Bright blue envelops every angle of my view. Sounds from above are muffled and distant. For this moment, I am aware of nothing else. My climb out requires a focused sequence of carefully choreographed movements. Right pick, stand, left pick, stand—each movement forced into the ice with decisive action. My first accent is wobbly and full of mistakes but again, my guide is there coaxing, correcting and encouraging. 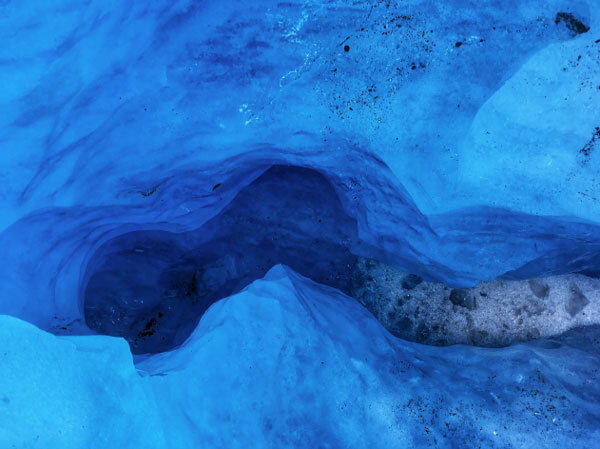 This process is repeated three additional times down different crevasses. Although my body grows more fatigued from this unique physical exertion, my confidence grows with each successful turn. As I reach the top and pull myself out onto the windy glacier for the last time, my heart is warm. As we hike back, my mind lingers over the recent moments that have slipped into my memory. This microcosm of life experience has not escaped my notice. 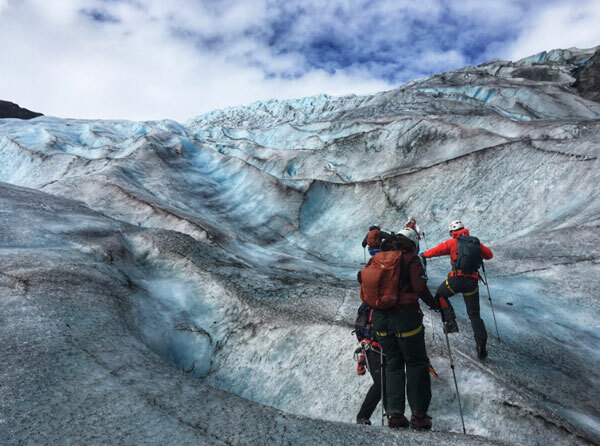 While we will not all ice climb into a glacier, every one of us can think of a time when we have been brought, inexperienced, to the edge of ourselves, facing unfamiliar territory. 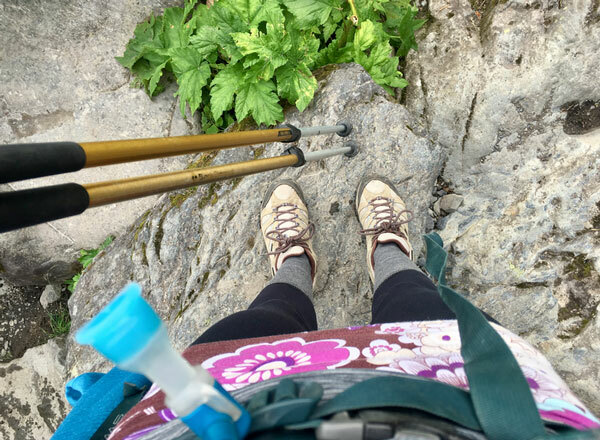 The rules are very much the same: one step at a time, leaning fully into our harness, trusting the ropes, and trusting our Guide. He is there all the time, longing to show us the way, to give His guidance through the dark. Why do we resist, stubbornly sure we can do it our own way? Which of us came into this world with more knowledge than the Creator of it? Which of us secured the lines and hold the safety rope to our very life? What makes us think that anything other than complete yielding will do? Lord, forgive our self-assured hearts. 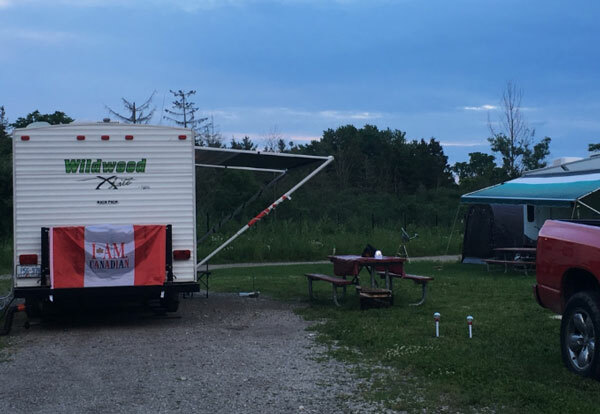 In our desire to gain confident independence, we crowd You out. We often look away until our situation seems peril, yet You have never left our side. Give us the wisdom to lean fully into You. Help us to listen to Your still, small voice. Remind us who we are in You and be the saving God we so desperately need. 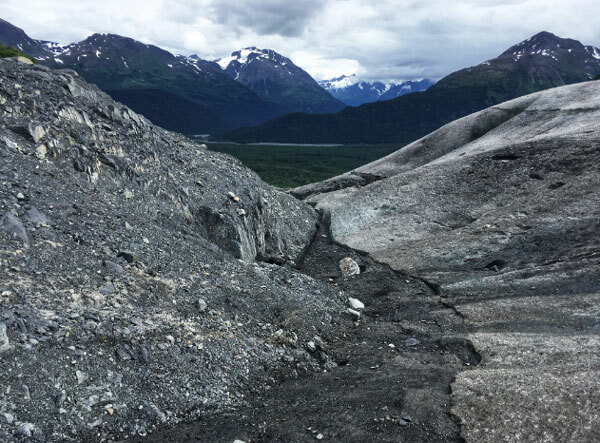 A mass of rocks and sediment carried down and deposited by a glacier, typically as ridges at its edges or extremity. 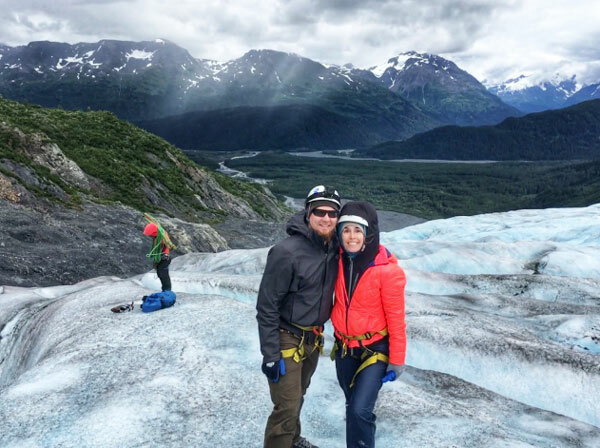 -We used Exit Glacier Guides based in Seward, Alaska. They were knowledgeable, informative and professional and I’d gladly go with them again. 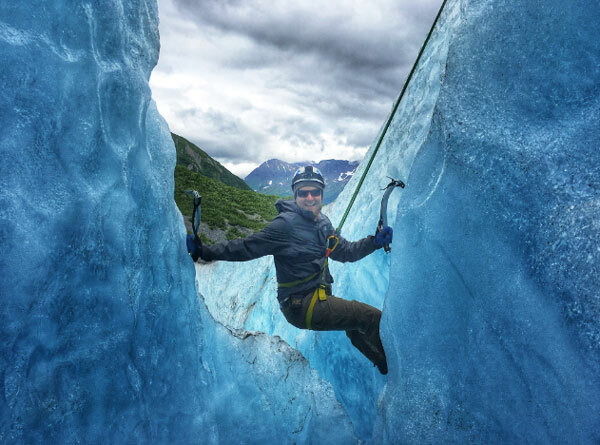 -This glacier ice climb is for anyone 15 and up who is in good physical condition. No experience is necessary. 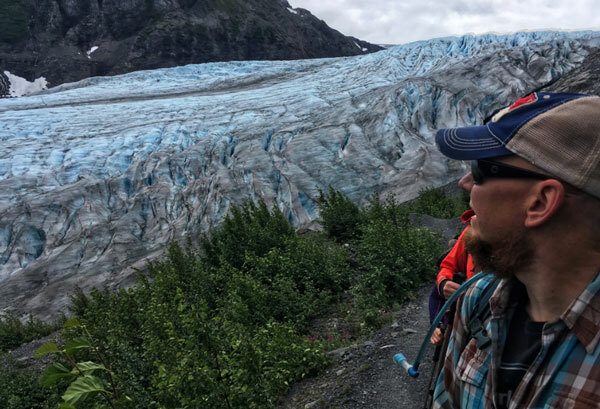 -Exit Glacier Guides provide all your necessary equipment as well as a yummy lunch and a snack. We brought our own winter clothing however, a few people didn’t have the gloves needed and Exit Glacier Guides was able to supply these as well. -Rain pants are suggested. I’ll confess I had never even heard of rain pants until I came to Alaska! Thankfully, I was able to find a pair at a local thrift store but Trent did not have any. It was nice to have them but he felt it worked fine without so don’t let that be a deal breaker for you. 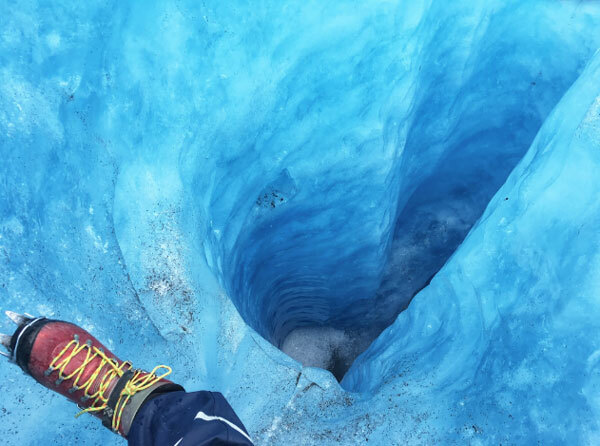 So I’m curious, would an ice climb on a glacier be something that you would ever want to do? It’s warm with a tempting breeze—the kind that beckons you toward refreshing water. 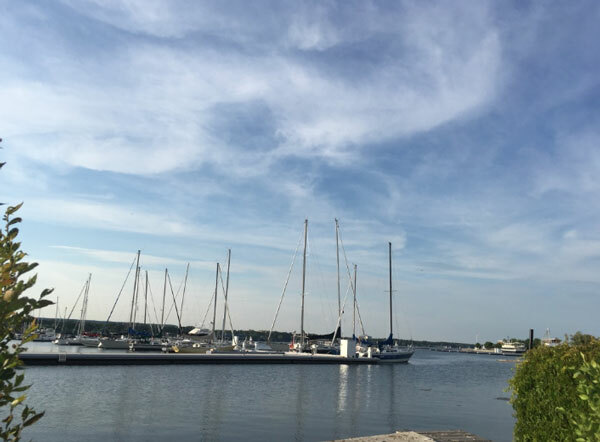 Once again, it’s race time for the local sailors on Lake Ontario and they are in need of crew. Now in our 24th day of ongoing engine repair, Trent and I just happen to be available. The sun is dipping low on the horizon as we make our way on to the dock. The water laps softly beneath our feet as we tread past row after row of occupied boatslips. The surrounding schooners stand like silent sentinels, masts reaching skyward. It’s easy to feel insecure in this unfamiliar space. Yet I know that all that stands between the known and the unknown is the experience that lies before me. 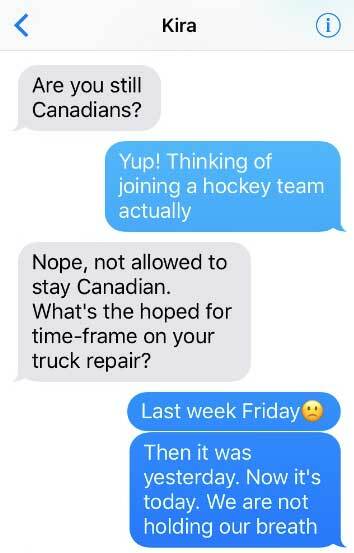 That part about hockey is a lie. We both know that. But now that our initially planned two hours in Canada has morphed into 10 unplanned days, comedic relief is my go-to.